"To live is to change and to be perfect is to change often." The development of doctrine is a sign of life not of decadence. Development of doctrine must be sanctioned by an infallible authority, a living voice of authority. An example: The idea of the Holy Trinity was given to St Peter and the Apostles in seminal form, but he would not have understood the doctrine as St Thomas Aquinas did. It is now a rich and complex doctrine, though in its basic elements it is the same as the revelation to St Peter. None of it will be mine. No merit to me. It will be you who shines through me upon others. by shining on all those around me. Give light to them as well as to me; light them with me, through me. Teach me to show forth your praise, your truth, your will. and the evident fullness of the love which my heart bears to you. 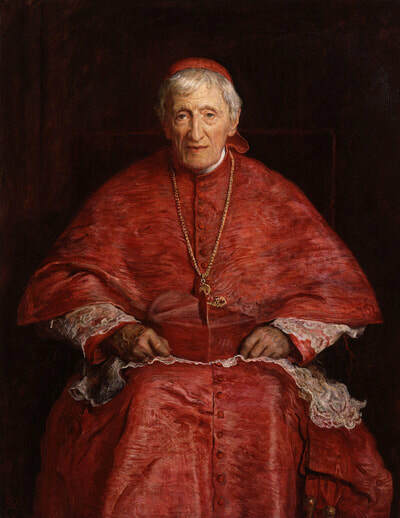 John Henry Newman, Jesus the Light of the Soul, Bl. John Henry Newman, Meditations and Devotions, Christian Classics, Westminster Md. 1975, p. 365. And to our souls Thy peace impart. Somehow I am necessary for His purposes.